In this guide I’m going to show you the quickest and easiest way you can watch the BBC Proms abroad from any country in the world. If you’re a fan of the BBC Proms then this is guide you need. The BBC Proms come around every year and if you’re a fan of orchestra and other types of large production music then this is an event you won’t want to miss. Unfortunately though the BBC Proms are only shown in the UK by the BBC and if you’re outside the UK for whatever reason then you’ll be unable to watch the shows. 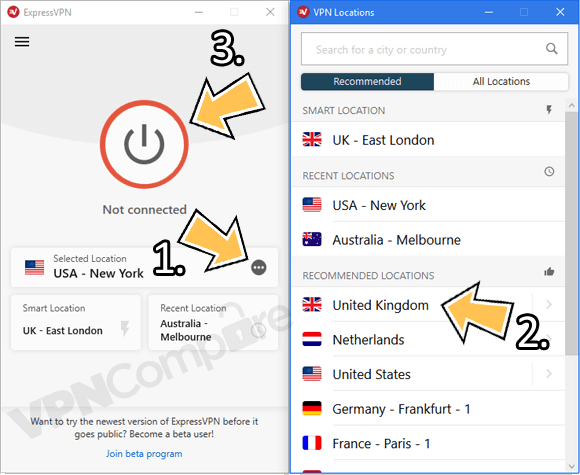 In this guide I’m going to show you how you can watch by using a simple app called a VPN, just read below to find out how. The BBC Proms is one of the biggest events of the year on the BBC and if you’re like a lot of people you would like to tune in and watch them. The BBC Proms are shown on the BBC and also simultaneously streamed online on their BBC iPlayer service. This is either as they are shown on BBC or on catch-up TV. If you’ve already tried to access BBC iPlayer abroad outside the UK then you’ll know it’s blocked. However by using a legal privacy app called a VPN from a provider such as ExpressVPN you can unblock BBC iPlayer and watch the BBC Proms abroad at your leisure. Just follow the instructions below to get started. To watch the BBC Proms abroad you’ll need to get yourself a VPN service. These are available from hundreds of different providers and will cost you just a couple of pounds (charged in US Dollars). I’ve been using ExpressVPN because I find them to be a little bit easier than the rest but you can use any of the three above. They also work with the biggest range of devices including Windows & Mac computers, iOS and Android tablets and phones and the Amazon Fire TV and Fire Stick. Once you’ve chosen one follow the step-by-step guide below. 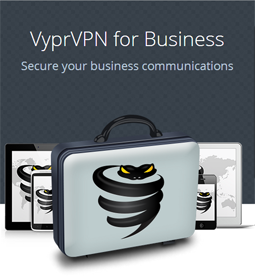 Go to the ‘Products’ section of the ExpressVPN website and download and install the correct app for your device. Open the app and login with your account details or the activation code from the ‘My Account’ section. Once it’s connected visit the TVPlayer.com website and press Watch Live and then BBC One. If you don’t already have an account press Create Free Account. Enter your Email Address and a Password and press Create Account. You’ll now be able to watch the BBC Proms. All you need to do is tune in when the BBC Proms are being shown in the UK and you’ll be able to watch them anywhere in the world. If you’re in a far-flung corner of the world such as Australia or somewhere else where the timezone will be prohibitive to you watching at the same time as the BBC Proms are shown in the UK then you’ll need to use BBC iPlayer to watch on catch-up. For this you must sign up for ExpressVPN because they work with BBC iPlayer. You’ll then be able to watch the BBC Proms are a time suitable to you after they’ve been shown in the UK. The BBC Proms will be starting on the BBC and at the same time online on Friday, 13th July 2018. They will run until 8th September 2018. The series starts at 8:30 pm BST and finishes at 10:30 BST. If you need help working out what time that is in your country then use a website such as TheTimeZoneConverter. The show is filmed in London at the prestigious Royal Albert Hall. This year sees the production the Five Telegrams which contains music by Anna Meredith and a digital production from 59 Productions. The production is in honour of the centenary of the end of the First World War. The BBC Proms are a chance to see the BBC Symphony Orchestra featuring conductor Sakari Oramo and the National Youth Choir of Great Britain plus the BBC Proms Youth Ensemble. The show will be presented by Katie Derham. If you want to watch what is considered one of the best classical music events in the world then BBC Proms is where you want to be. If you’re outside the UK though it’s almost impossible to find somewhere showing this musical masterpiece. To watch the BBC Proms abroad you’ll need to get yourself a VPN app. I recommend using ExpressVPN because they work well with both TVPlayer and BBC iPlayer which are showing the event. You can get ExpressVPN by clicking the orange button below. Once you’ve signed up, download their app for your device and connect to the United Kingdom. You can then watch the BBC Proms live on TVPlayer or on catch-up on BBC iPlayer outside the UK. What’s your favourite part of the BBC Proms? I would love to know so why not let me know in the comments section below.